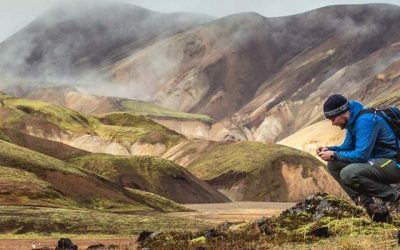 Are you traveling on your own in Iceland? That is a great choice since the land of ice and fire has so many great places to explore. The best way to do a self-drive tour is to add some spice to your driving and stop for some adventures activities on the way. 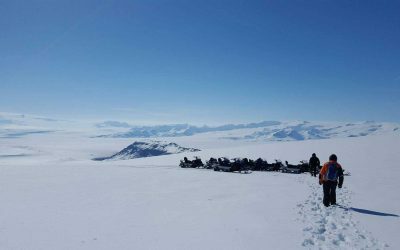 Arctic Adventures offers a variety of “meet on location” activities around Iceland. 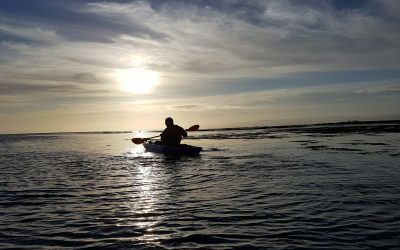 Spend some of your time out of the Reykjavík area and start your day with one of our exciting activities. If you are staying in the south a glacier hike on Sólheimajökull or snorkeling in Silfra are excellent choices. 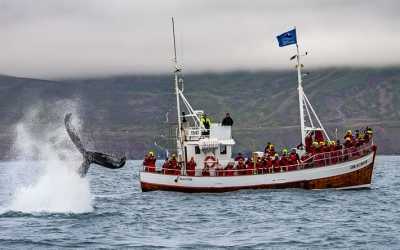 Up north, we offer whale watching from Dalvík and fantastic white water rafting in Skagafjörður. We also offer lots of activities in the Skaftafell area and of course a range of interesting things to do in the vicinity of Reykjavík. Check out all our self-drive meet on location activities below. 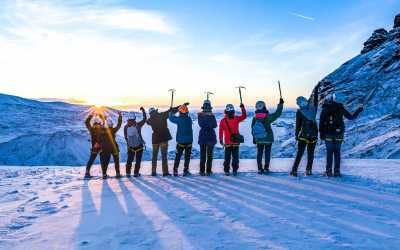 In the heart of Europe's greatest glacial playground, take your glacier adventure to the next level! 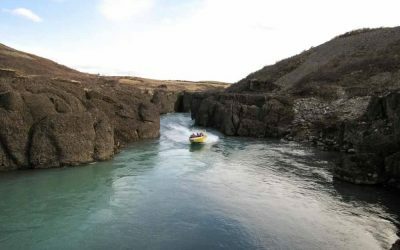 Are you ready to experience the magnificent canyon beneath Gullfoss waterfall in a whole new way? Let´s go for it with some high-powered whitewater action! You have picked up your rental car. You are steering the wheel. You feel the freedom. The endless lava fields and mountains ranges are flashing back in your car windows. You are excited. This is your road trip in Iceland. Countless beautiful sights are not the only reasons why you are here. Iceland has countless exciting things to do! Northern light in winter and midnight sun during summer, each season has a personality. Each region has unique scenes and adventures to offer. Follow this guide to see what you can do when you are here. 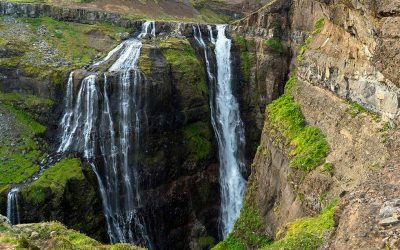 Glymur waterfall was once the highest in Iceland. With the streams falling from 198 meters high, its profile can’t be so easy to observe unless you walk to it. The 3-hour round-trip hiking tour will take you through canyons, birch forest and a lava field. After an exciting river crossing, you can go into a cave for a glimpse of the running stream. This little prelude will eventually climax when you reach the top of the mountain. On hills, rocks and moss, Glymur’s multi-cascade flow down to the narrow gorge gracefully. The highland vastness allows the best viewpoint of seeing the beautiful water. Meeting Point: Glymur parking lot, be ready at 9:45 a.m. 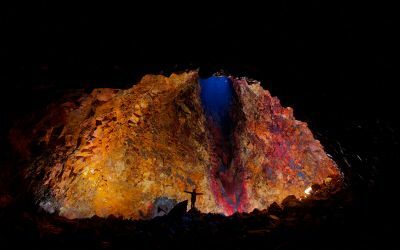 This is the only volcano that you can go inside to see the magma chamber in the world. It’s located near Reykjavik in a town named Hafnarfjordur. The dormant volcano sits in the middle of a lava field that you will cross first. This little exercise will get you warmed up for the underground adventure. After about 40 minutes, you will see the crater painted by nature in red and green, giving out some mysterious vibe. You will be lowered 120 meters (400 feet) down into the volcano by an open elevator system. Upon reaching the touring level, your experienced tour guide will share knowledgeable detail and fascinating anecdotes about the volcano. Meantime, you can appreciate the amazing texture in hues of indescribable colors. Meeting Point: Blue Mountain parking lot (Blafjoll parking), 20 minutes past the scheduled departure time. 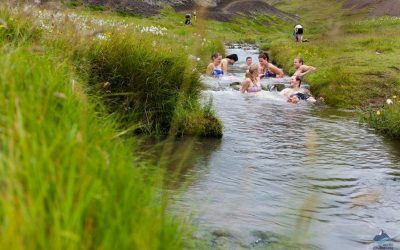 The nearest scenic geothermal spot from Reykjavik is in Hveragerdi. When you drive on Ring Road via the big curve toward the south, you can see steam floating out of the earth in multiple spots. This leisure hiking tour takes about 3 hours in which you will dip in the most relaxing natural hot spring. Meeting point: N1 Gas Station in Hveragerdi town by 9:00 a.m. The Golden Circle exploration isn’t limited to these three classic sights. There are so much more you can do there! Silfra Fissure. Just by pronouncing the name, you can feel the mystery is bonded in the syllables. Imagine seeing yourself on Google Earth when you zoom in between the North America and Eurasian continents. Of course, we are too small to be seen in a satellite picture. But this experience will put you in a rare geological point on the planet. How amazing is that! For snorkeling, you need a warm drysuit and a snorkeling mask. Following your well-trained guides, you will be swimming in the clear water where you can touch the lava rocks. Many have said their snorkeling experience felt like flying. Some others said it felt like in a meditation. 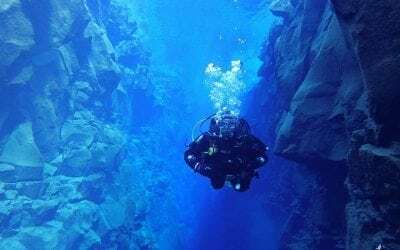 Diving in Silfra is often rated in the top ten diving experiences in the world. The superb visibility and fascinating underwater scenes make it one of the kind. This a few hour long diving open to all drysuit diving enthusiasts. You will go deep into the subaquatic rift in the tectonic valley. Golden Circle is close to Langjokull glacier, the second largest glacier in Iceland. It’s a heavenly place for a taste of extreme and home to many athletic and adventurous activities. The locals like to drive here for hiking, cross-country skiing and have a fun exciting snowmobile tour. The speed and the view will make you feel like James Bond on a mission. 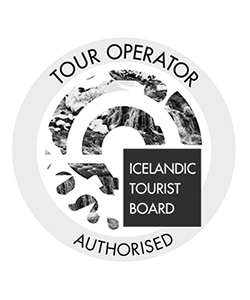 This incredible experience can enrich your driving day tour in Iceland to a new level of excitement. Meeting point: 1) Gullfoss Cafe, then on aboard of a super jeep to the basecamp; or 2) Langjokull Basecamp. Please arrive a bit early in order to meet the touring time. Gullfoss waterfall plunges all the way to the narrow gorge creating a giant misty cloud. It makes you wonder what happens next. This is where the jet boat tour and the rafting tour come in. These adventures keep your sightseeing going. At Gullfoss, the Hvita river flows voluminously and makes the waterfall roar. When you take the jet boat or rafting tour to see the downstream, the view changed into a calm blue. It creates a perfect closure for your Golden Circle adventure. 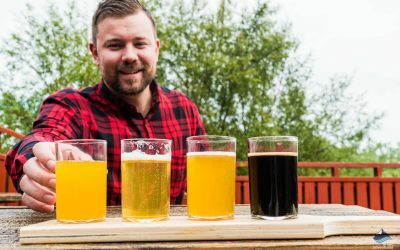 After the adrenaline rush, you can relax and have a beer in a nearby bar and even take a sauna. Meeting point: Drumboddstadir, 15 minutes prior to departure time. When you drive through Iceland southern rim, you will see glaciers and mountains rising up framing a contrasting landform. Vatnajokull, the most voluminous glacier in Europe, sits here. It’s a natural playground for many wonderful adventures. For hikers, nothing can compare with the scenes and the sounds when you step your foot on the glacier. The sky and the land merge from far away on the horizon. Ice caves are the unpredictable wonders inside the glaciers. Combining these two together will be a mind-blowing day tour for your self-drive in the south. 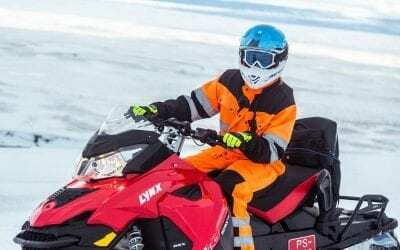 You can also cruise on the endless white on a snowmobile in Vatnajökull National Park. When you visit Jokulsarlon Glacier Lake, your visual imagination will be sufficed by the extraordinary floating iceberg and iridescent ice pieces on the Diamond Beach. Then it’s your turn to dip in and join in the exceptional activities to see them in a fresh perspective. 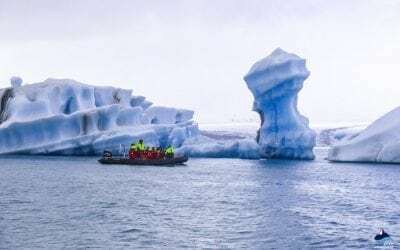 You can visit a crystal ice cave or you can sign up for a Zodiac boat tour to moving in the giant iceberg crowd in the lagoon. Solheimajokull glacier is close to Vik. When you drive by this beautiful town, why not steering your car to some glacier expedition? There is a easy hiking tour giving you an enduring taste of the icy colossal. And a longer trek on ice has breathtaking views. In Iceland, the different lighting condition can create an incomparable blue coloration for the ice cap. 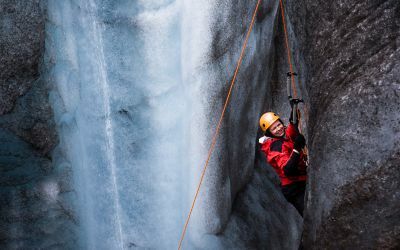 You can see it up close by the glacier walk and ice climbing in the Blue Ice tour. Just go. When you are there, you will realize that a thousand reasons won’t describe what you see around you. No other part in the world is like the Icelandic Central Highland. Meeting point: 12:00 in front of the Main Hut in Landmannalaugar, you need a 4×4 vehicle to drive on F-roads to there. Snaefellsjokull glacier sits on the tip of Snaefellsnes Peninsula. It reaches 1446 meters (4744 ft) above the sea level and is considered as a national jewel in the west. This challenging hike takes about 5 hours starting from a small fishing village named Arnarstapi. 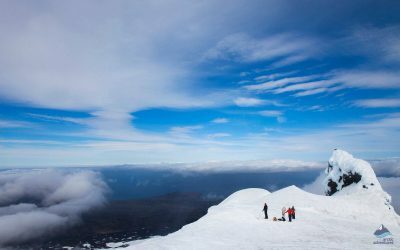 If you are an outdoor enthusiast, go with a guide to trek on the holiest mountain in Iceland. Meeting point: Arnarstapi (Restaurant and Bar Snofells) at 11:00 a.m.
Icelandic water is the home to many kinds to whales. When you sign up for self-drive in Iceland and intend to drive to the north, whale watching in Dalvik is highly recommended. This spot has exceptionally high spotting rates – 98% of the tours can see whales and dolphins. Also, you will experience sea angling and feel like an authentic Icelandic fisherman. On-boat BBQ will later be served with the fish you just caught. 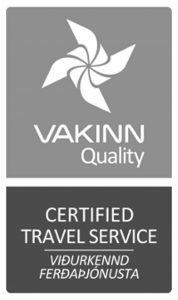 Meeting point: Arctic Sea Tours Ticket Office, Hafnarbraut 22, 620 Dalvik, meeting at least 20 minutes before scheduled departure. 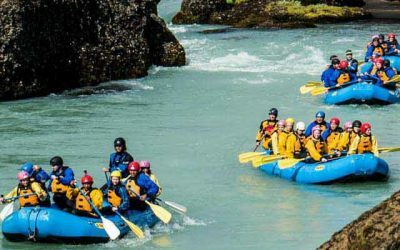 Iceland’s rich waterways can take you on many sorts of adventures including the popular kayak power challenge. This activity is suitable for all levels. On your way from a lake to the peaceful open sea, you will probably see seals staring at you paddling in the colorful equipment. This will be your special perspective to explore Iceland. Meeting point: Stokkseyri Swimming Pool, 15 minutes before scheduled departure time. 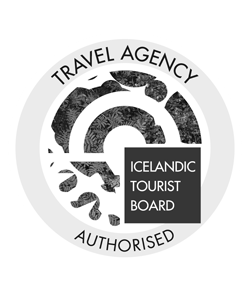 Iceland has the natural advantage to render the best of exhilarating activities. When you sign up for a self-drive tour, you have the freedom to come to adventures in the land of fire and ice. Meeting on location tours add flavorful spice and unlimited excitement. We will start by exploring the blue ice and walking on the metallic glacier. We will feel the wind sweeping by the ears when the snowmobile roaring on the snow. We will hike on the magnificent highland or sail in the ocean to say hi to the whales. 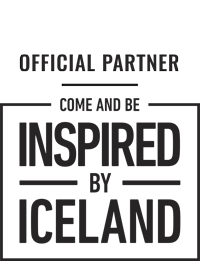 We will have friendly and helpful guides with us along the way. They will share with their traveling and adventuring expertise. You will see Iceland in depth. Now, move your cursor up to the top of this page. Find your adventure. This is where your personal legend begins.